ISLAMABAD: The three well-known political heavyweights, Jamiat-e-Ulema Islam-Fazl (JUI-F) chief Maulana Fazlur Rehman, Pakistan Muslim League-Nawaz’s (PML-N) disgruntled leader Chaudhry Nisar Ali Khan and Awami Muslim League (AML) chief Sheikh Rasheed are trying their luck on two national assembly constituencies each, where they will be facing a tough competition from their rivals. Although all three have a slight edge in their respective constituencies, their rival candidates are burning the midnight oil to turn the tables on the three veteran political players. JUI-F chief Maulana Fazlur Rehman is contesting on two national assembly seats from the platform of Muttahida Majlis-e-Amal (MMA); however, he is facing a tough challenge this time around. The JUI-F chief is contesting elections from NA-38 and NA-39 of Dera Ismail (DI) Khan, where he has won the elections a number of times. However, an interesting electoral battle is expected in both the constituencies this time, as Pakistan Tehreek-e-Insaf (PTI) has fielded Ali Ameen Gandapur on NA-38 and Muhammad Yaqoob Shaikh on NA-39. 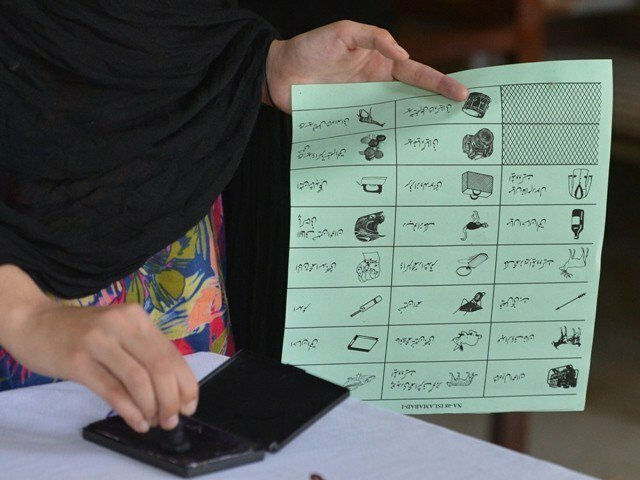 A total of 15 contenders for NA-38 are in the run, including Maulana Fazlur Rehman, PTI’s former minister Ali Amin Gandapur and independent candidate Waqar Ahmad Khan. In 2008, Fazl lost the NA – erstwhile NA-24 DI Khan – while contesting on MMA’s ticket, but won from NA-26, Bannu. 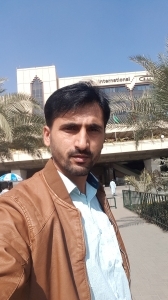 In 2013 elections, the constituency witnessed a tough contest between Fazlur Rehman and the then Pakistan People’s Party (PPP) candidate Waqar Ahmad Khan, who is a former senator and is now contesting as an independent candidate. According to neutral observers, Fazl has a very strong vote bank in the area, however, during the last few years, Ali Ameen Gandapur has emerged a very strong contender as he being a provincial minister did a lot of development work in the constituency during the tenure of the PTI-led provincial government. Fazl is contesting from MMA platform; hence he is likely to get the religious vote of the five religio-political parties that are part of the MMA. It is believed that he revived MMA due to the fast dwindling popularity of religious political parties. Former NA deputy speaker and PPP candidate Faisal Karim Kundi is in the run for the constituency, but he is nowhere near the top slot while Waqar Ahmad Khan is spending money lavishly to garner public support; however, he is unlikely to get the prized seat since he is considered an outsider. Similarly, a close contest is expected on the other seat i.e. NA-39 between the JUI-F chief and PTI candidate Muhammad Yaqoob Shaikh. As compared to NA-38, the contest on NA-39 might not be that close because Fazl’s brother Lutuf Rehman has done a lot of work in the constituency and is likely to win from the provincial seat that falls in NA-38, which can benefit his elder brother. Yaqoob Sheikh being a known figure in the area has a good support and an effective support of MPAs which has the ability to cause an upset. Twelve candidates will contest the polls from NA 62 Rawalpindi-6; however, the main competition will be between AML Chairman Sheikh Rasheed Ahmed and PML-N’s Daniyal Chaudhry, especially after the disqualification of Hanif Abbasi. There are 452,930 registered voters in this constituency among whom 242,330 are male and 210,600 are female voters. A neck and neck contest is expected between Sheikh Rasheed and Daniyal Chaudhry because both the candidates have not only their personal votes, but they have a substantial party vote in this constituency. PTI is backing Sheikh Rasheed in this constituency while, on the other hand, the disgruntled workers of PML-N have been reunited after Hanif’s disqualification. Political pundits say that it would not be a walk in the park for Sheikh Rasheed to win the seat, which was earlier considered to be one. Neutral observers are of the view that PML-N government carried out a lot of development work despite losing both seats in 2013 but the voters are not happy with the PML-N candidates, as the office bearers were at loggerheads till the announcement of party tickets. The majority of voters belong to Barelvi sect in this constituency so it is believed that Tehreek Labbaik Pakistan’s (TLP) candidate can bag a considerable number of votes in the constituency. The NA 59 seat will be in focus on the election day due to a number of factors as PML-N has given the ticket to Qamarul Islam Raja, who is currently in the custody of National Accountability Bureau (NAB) in a corruption case. Qamar’s twelve-year-old son and daughter are running their father’s campaign and the voters of this constituency are accepting their narrative. On the other hand, PML-N’s disgruntled Chaudary Nisar Ali Khan is contesting the elections as an independent candidate in this constituency because PML-N did not award him a ticket allegedly owing to his differences with Maryam Nawaz. The polls will be a challenge for Nisar as he is running against a candidate of the PML-N who has a large number of voters in the constituency. It is worth mentioning here that Nisar is winning from this seat since 2002 from PML-N’s platform. He had defeated the PTI’s candidate Lt Col (r) Ajmal Sabir Raja with a huge margin in 2013 election. PTI has given the ticket to Ghulam Sarwar Khan, a rival of Chaudhry Nisar in this constituency and so political observers are expecting a good competition in NA-59. The constituency consists of Gulzar-e-Quaid, Dhoke Lalyal , Railway Housing Scheme 1-A Chaklala, Dhok Chaudrian,Shakrial, Lalazar, Sher Zaman Colony, Morgah, Gulrez, Safari Villas, Police Foundation, Media Town, Lalkurti, Kotha Kalan, Gulshan Abad, Bahria Town (1,2,3,7,8), Rawat, Kalar Syedah, Munawar, Zulfiqar, Chak Beli Khan, Pindori and Army Officers colony.